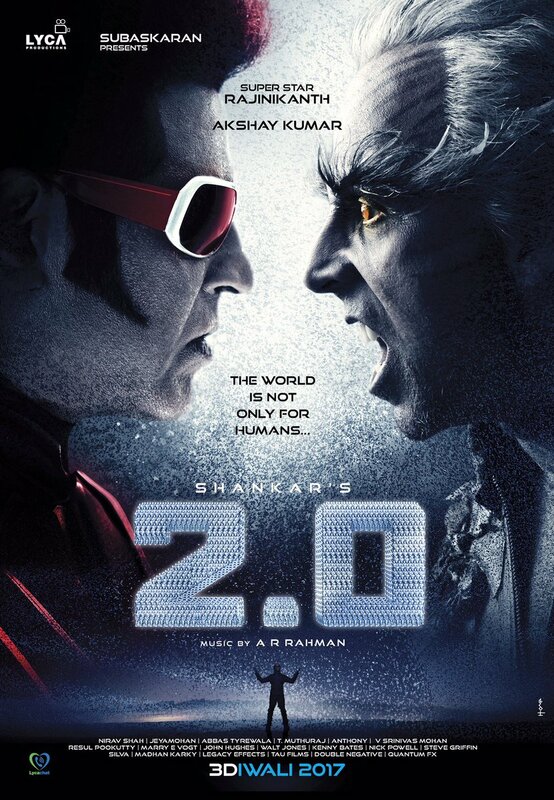 Rajnikanth, Akshay kumar New Movie Robo Sequel, 2.0 Launched, Diwali 2017 Release. 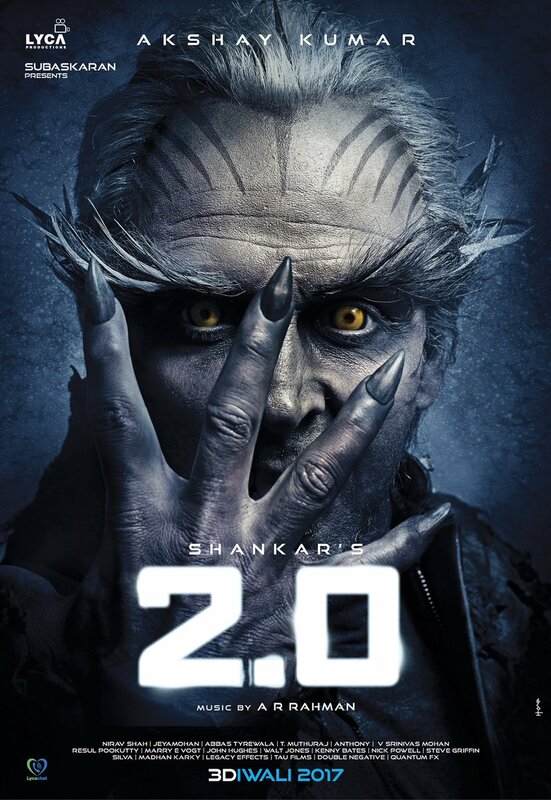 Rajnikanth and akshay kumar's new movie 2.0 first look was launched yesterday at Mumbai. This movie is sequel to India's top grosser in 2010 ROBO. Movie is set to release next year Diwali, 2017. 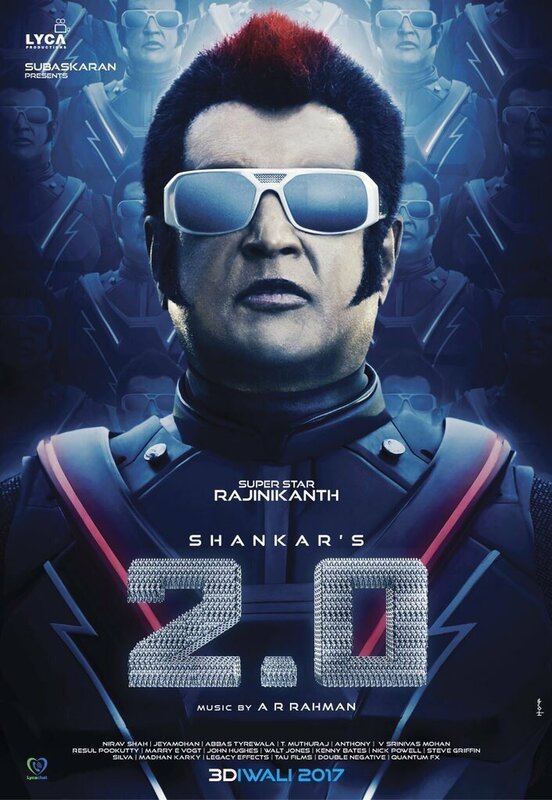 Rajnikanth told that shankar director is very tough to work and he is perfectionist. shakar told that robo is everest and 2.0 is like holding everest on my shoulder and climbing another everest. Movie posters got good expectation and may be the India's top grosser in 2017. Movie is wrapping with 300 crores budget and produced by Chennai based UK telecom company LYCA, Under lyca productions.